If Mark Millar gets his way, we will be seeing a massive 8 hour saga of Superman that would be split into 3 films being released one year apart. Millar whose properties are pretty hot right now has pitched his idea to Warner Brothers alongside a unnamed bigtime action director to re-boot the Superman series at WB. Millar recently sat down with Empire Online and flushed out some of the details regarding his take on the DC topshelf superhero. Mark Millar envisions the films following Kal-El's entire life from the moment he is born on Krypton until he is the last person on Earth. "It’s gonna be like Michael Corleone in the Godfather films, the entire story from beginning to end, you see where he starts, how he becomes who he becomes, and where that takes him," Millar said. Continuing Millar explained, "I want to start on Krypton, a thousand years ago, and end with Superman alone on Planet Earth, the last being left on the planet, as the yellow sun turns red and starts to supernova, and he loses his powers." 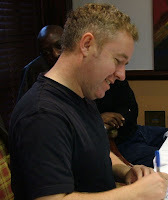 Mark Millar definately has a huge vison for the DC/WB property and he thinks that the studio is ready to listen to his large scale ideas. He added, "The Dark Knight showed you can take a comic book property and make a serious film, and I think the studios are ready to listen to bigger ideas now." Clearly Millar knows what he wants to do and it sounds better than anything we have heard from the Singer camp, who still seems to be attached to the property. WB should look to really give Superman a breath of fresh air and really just remove Bryan Singer from the project. I liked his Superman Returns homage, but as Millar said, "it wasn’t relevant." I wish Millar would reveal who his unnamed director is, cause that could really get the hype machine started. Until then stay posted for news on the status of the Man of Steel. 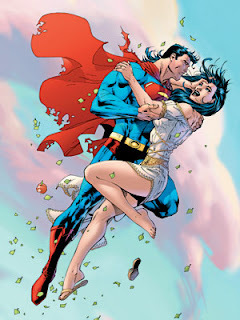 Thoughts on Mark Millar's Magnum Opus of Superman stories? Does this sound like a solid reboot? Should Bryan Singer stay the director or should WB look for new blood?